Two months ago the banana farmers in Dominica decided to dump their bananas on the road side as symbolic action against government neglect and the government’s failure to secure markets for the bananas. Instead of reaching out to the farmers to help resolve their grievances, the PM and his cronies were on Kairi FM making fun of the banana farmers. Advance societies have long recognized the importance of food security and the need to promote and support farmers and agriculture at all cost. Farmers protest in various forms all over the world and sensible governments find responsible ways to deal with issues relating to farmers and agriculture. 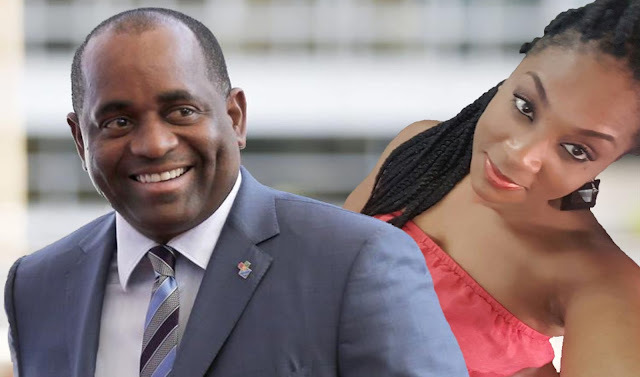 But the behavior of Roosevelt Skerrit and his goons is really no surprise, as the hallmark of the Roosevelt Skerrit operation is to derail anyone or group that does not venerate the Roosevelt Skerrit deity or the delusions thereof. In the words of Alix Boyd Knight one is better off dead than to not support the Dominica Labor Party. But this is all part of a scheme to supply loyalty to Roosevelt Skerrit - A people disempowered is forced to become dependent and loyal to those who govern through despotism and government handouts. Those who decry the Roosevelt Skerrit’s policies must starve. When the former minister for tourism, Ivor Nasseif, declared that agriculture is a “ third world industry” he was clearly telling us that his government had no regards for the once powerful farmers- once upon a time, the heartbeat of the middleclass in Dominica. The former minister of Agriculture, Mathew Walter told a gathering in Antigua that the government of Dominica is not interested in agriculture. The government was well on its way to destroying the middleclass in Dominica. In spite of the government’s policies (red sigatoka) and their deliberate attempt to destroy agriculture, a few farmers persisted and we want to commend all the farmers who stood up against the “red sigatoka” and the Black sigatoka. We want to bring special attention and recognition to one particular farmer, Mr. Hilhaire John Baptiste- affectionately known as Ras Castle. Ras Castle is a prominent and hardworking banana farmer in the Portsmouth area. He is a young man who does not subscribe to the despicable Labor Party handout policy. He believes in the pursuit of economic independence and the freedom of expression - a former fierce calypso competitor and first runner up in the national calypso competition. While the government of Dominica did very little to control the wrath of the Black Sigatoka disease, Farmer Ras Castle persisted and was determined to fight the banana destroying disease on all fronts. Ras Castle demonstrated that he could roll with the punches as well as absorb the punches. Because of his tenacity, he endured. His banana holding now stands in stark contrast to the many ravaged banana fields throughout the island. (Photos attached). Although there are signs of the Black Sigatoka disease on the Ras Castle plantation, his banana plantation remains a breath of fresh air. We chose to recognize Ras Castle not only because of his hard work, resilience and wonderful entrepreneurial spirit, but because Ras Castle stood his ground against Roosevelt Skerrit and his cabinet (red sigatoka) when the cabinet decided that Ras Castle should not be provided with government subsidies, simply because he publically opposes some of the government policies. This time we are talking about an entire cabinet to include Ian Douglas who is supposed to be an eternal friend and brother to Ras Castle. Ian Douglas and Ras Castle were founding members of a closely knit football club and community group in the Portsmouth area. Even more, Ras Castle is the only organized banana farmer in the Portsmouth area. Oh Ian, where is your testicular fortitude? Anyone who experienced the heydays of agriculture should be saddened by the now unsightly appearance of the agricultural fields, particularly in the once prolific banana producing areas like Marigot, Castle Bruce and La Plain. A trip up to the Ras Castle farm offers some hope and even the nostalgic feeling of the glorious banana days. What is more special is that Ras Castle operates a very impressive banana ripening facility on his banana plantation. The ripening facility on the Ras Castle estate is the only one of its kind in the entire north of the island and he currently produces and delivers properly labeled ripe bananas to various retail outlets. 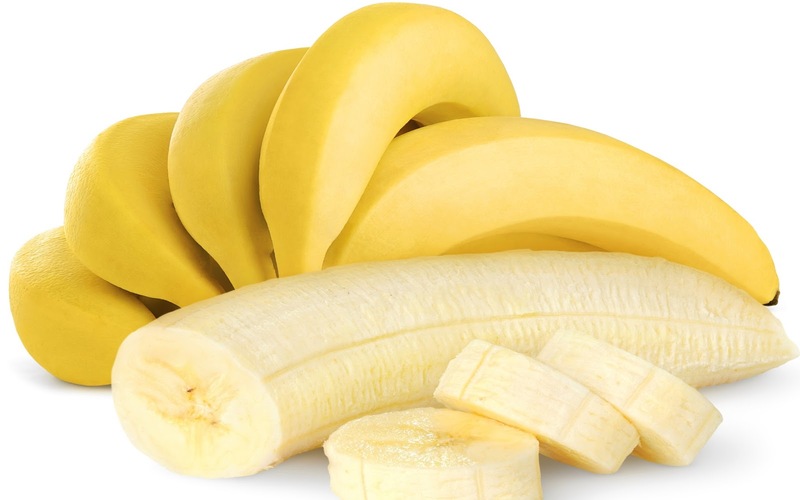 Due to the continuous struggles with the Black sigatoka disease and a debilitated economy, Ras Castle is only able to provide limited supply of ripe bananas to the local market. In a desperate effort to save face and restore a modicum of decency to the agriculture industry, the government of Dominica imported 20,000 banana plants to distribute to farmers. Mr. Skerrit, in his 2014 budget, stated that the banana plants will be distributed on a meritorious and equitable basis. He said “The criteria for their selection are their history of consistently adhering to good agronomic practices, outstanding overall management of their farms, willingness to take advice, and to participate in training in recommended agricultural practices. The intention, Madam Speaker, is to target no less than one hundred (100) farmers under the program. Those farmers have all been identified.” As usual, “pawol en bouche” – pure babble. Like all other state owned resources, Roosevelt Skerrit and his cronies decided that the banana plants must be used for vote buying, and so they insured that the banana plants were distributed accordingly. With their usual shameless and disgraceful behavior, the entire Roosevelt Skerrit cabinet, and even their ton-ton makoutes, decided that Ras Castle should not receive any banana plants because he does not support the Dominica Labour Party. It is only a short-sighted, malicious and oppressive government that would openly victimize a farmer who has gone above and beyond to help resuscitate banana farming on the island. The only organized farmer in the Portsmouth area helping to suppress the importation of bananas for local consumption. It is also very important that we recognize Ras Castle’s extreme generosity, as he continues to donate boxes of ripe bananas to the schools, hospitals, and other institutions of need, within the Portsmouth area. What a gentleman! Our hats off to you Ras Castle. The government of Dominica is well known for its unrelenting effort at political victimization; however they are also very good at delivering failed policies. In June of 2016 the agriculture minister declared that the OECS market is saturated and so the farmers who followed through with the imported banana plants had loads of bananas with no available markets. The government with its infinite wisdom and “Cannot do” capabilities, arranged to import 65,000 banana plants from France, but did not see the absolute need to secure markets for the coming bananas. In a display of dissatisfaction, the farmers decided to dump the bananas at Melville Hall, hoping that the government would respond in a responsible manner. All over the world farmers find creative ways to relay their plight and grievances. 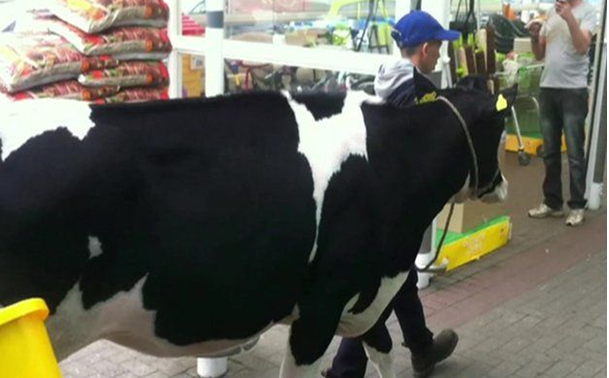 Very often farmers resort to dumping their crops in public areas; dairy farmers for example take their animals to town and shopping centers to protest against the price of milk; farmers use their tractors to block roadways. We have seen that when farmers protest in the international community the authorities listen and offer meaningful engagement. However in Dominica the Prime Minister and the “buffoonated one,” Simeone Albert resorted to the airwaves making fun of the farmer. Very interestingly though while Skerrit used Kairi FM to poke fun at the farmers ,goons of Mr. Skerrit were busy behind the scenes trying to get Ras Castle to accommodate the “market less” bananas into his facility for ripening. "The stone that builder refuse shall be the head corner stone and no matter what game they play you got something they can never take away- The fire”- Bob Marley. Ras Castle is extremely generous but he is also an astute farmer and businessman. How asinine it is to think that Ras Castle would entertain the idea of ripening the bananas for the desperate banana farmers only to have the same farmers saturate the small niche market that he has built for himself. We have come to expect nothing else but lies and deception from a bunch of fruitless characters moonlighting as government in Dominica? Adorned with a her usual arrogance and her flamboyant ignorance, the press secretary of the government of Dominica did not care to recognize that the farmers were once the driving force of the middle class in Dominica and that in order to strengthen the middle class the development of the farmers is critical. Alas “Only a fool lean upon her own misunderstanding”. We, who understand the importance of agriculture to our forward movement in Dominica, must stand with the farmers at all times. We want to applaud and encourage all the other farmers who continue to contribute towards the food security in Dominica. "No matter what rages or changes they put us through keep on bring the good fruit in due season. Everything in life got a purpose and a reason". (Bob Marley) We have listened to your many stories of government neglect and the many worthless promises. We gave you the assurance that we will play our part to insure that this corrupt, lazy and incompetent government do what is right for all the people as oppose to what is right for Roosevelt Skerrit and his cronies. Three Cheers for Farmer Ras Castle!!! Three cheers, no four, five, six cheers indeed for Ras Castle! The current Government in Dominica is truly wicked and only interested in two things: enriching themselves and staying in power!! !